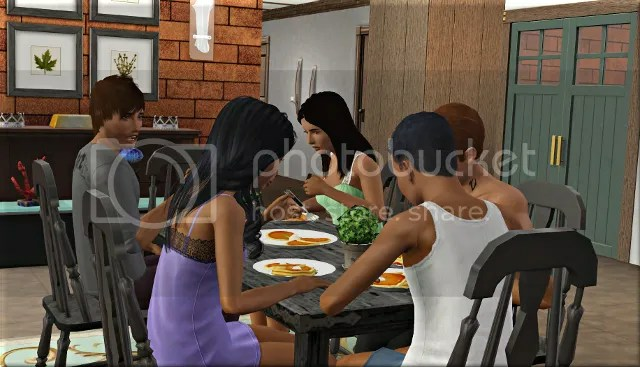 This generation we’re in Appaloosa Plains with brother and sister Jaylen and Imani Holcomb-Marks, and their second cousin Cassandra Borges-Rake. 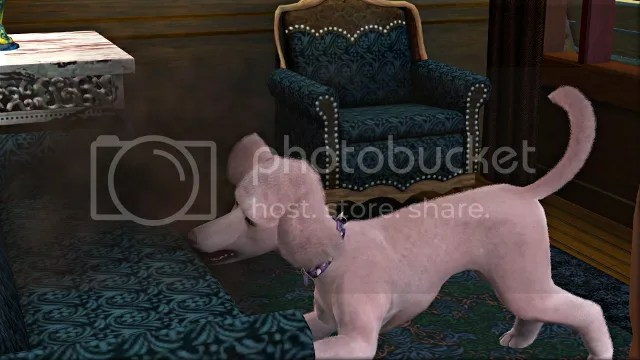 Although pets aren’t usually a big part of my game-play, I have a lot of admiration for this pack, which for me represents a huge improvement on both TS1 Unleashed and TS2 Pets. 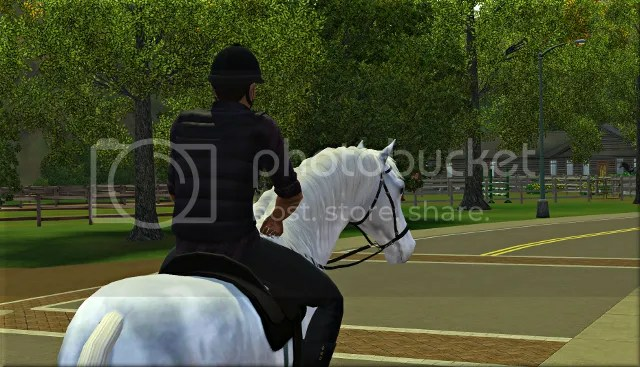 The horses are really quite majestic and make me value the open world even more than I already did; the minor pets are reasonably varied and interesting; and the new items for both CAS and the build/buy catalogue are lovely. 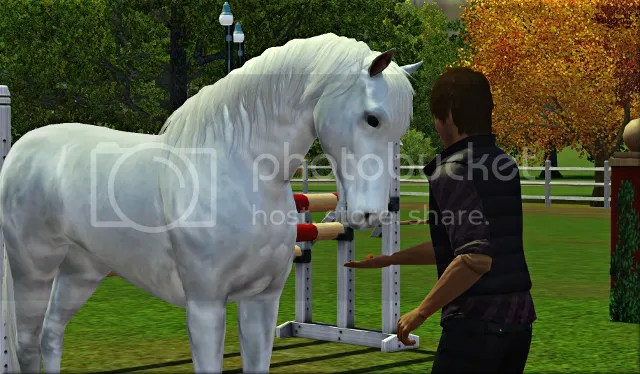 I have nothing but praise for the new Create-a-Pet: though I apparently never had the talent, inclination, or patience to do much with it myself, I love looking at the beautifully detailed and unique cats, dogs, and horses it’s enabled other simmers to make. I should also say that I have used Nraas Story Progression to turn off pet adoption scenarios, as I don’t like how they are handled. 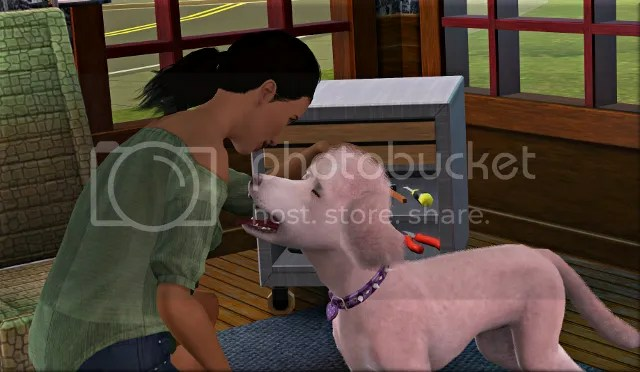 These are the scenarios in which a pet in an inactive household supposedly gives birth to offspring that your sims are invited to adopt, except that, according to their families trees, these new animals are not actually related either to their parent/parents (there is often only a mother) or to their ‘litter mates’. There often seems to be something weird going on with the genetics in these cases too. It’s a small complaint, and to be fair to the expansion pack team, this mechanism was probably put in place to compensate for the fact that the shoddily designed base game story progression fails to produce a sufficient number of baby animals for your sims to adopt. But since Nraas has given us a story progression that actually works, it’s not a mechanism I need or want. With those explanations out of the way, let’s meet the heirs. 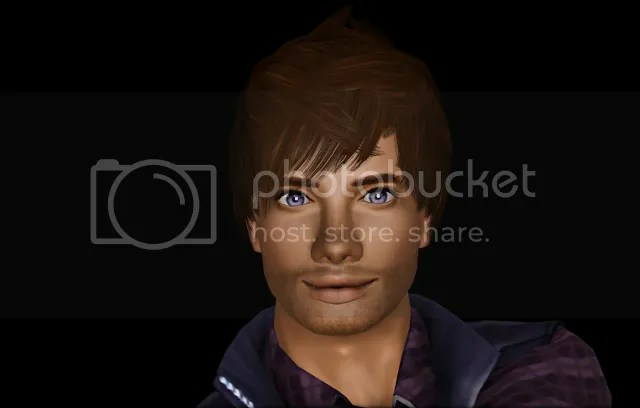 Jaylen, the eldest, loves the outdoors, and is good, neat, a hopeless romantic, an equestrian, and a pizza appreciator. His lifetime wish is to adopt a unicorn. I think the lot might feel a little crowded with two horses, so until he finds his unicorn I’m just going to have Jaylen level up his riding skill by borrowing his neighbours’ mounts. Cassandra shares Jaylen’s love of the outdoors, and is also a natural cook, athletic, a dog person, and friendly. She is only one day younger than him, and the two have always been very close. Cassandra is a vampire – a characteristic she inherited from her mum Albina – but I may end up curing her if her need to avoid sunlight becomes too restrictive. Her lifetime wish is to befriend fifteen dogs. Jaylen’s teenage sister Imani is a bookworm, a perfectionist, ambitious, and has a green thumb. When she ages up, I’m going to choose animal lover as her final trait. I’ve already selected her lifetime wish, which is to collect twenty minor pets. 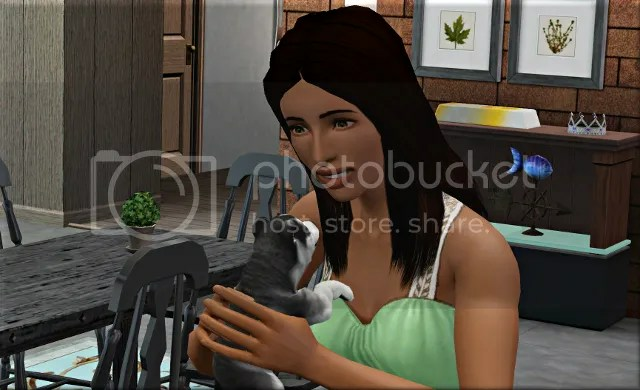 I wasn’t able to make anyone a cat lover because the four traits introduced with this expansion pack all conflict with one another, but I do plan to have Imani adopt a cat at some point during this generation. 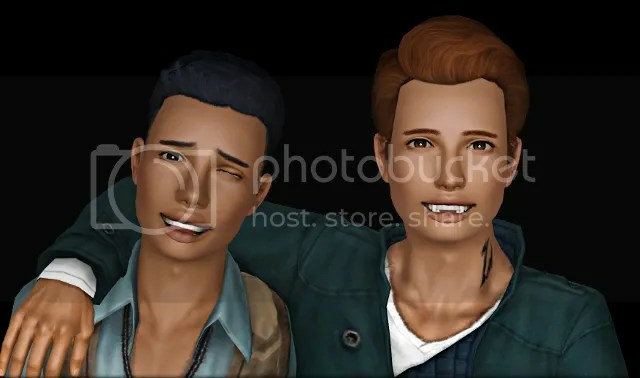 Cassandra’s parents stayed behind in Bridgeport, and Jaylen and Imani’s sadly passed away before the move, so for now the household also includes Cassandra’s brother Aristide and his second cousin Keshawn. Like Cassandra, Aristide is friendly and loves the outdoors; his other traits are disciplined and perfectionist. Keshawn is technophobic, hot-headed, athletic, and friendly, and shares the hidden pizza appreciator trait with his big brother Jaylen. The family lives in this Lloyd Wright-inspired prairie home at 1006 Pomona Promenade, which is a 50×50 +15 beautiful vista lot. Some of the rooms aren’t decorated yet, so there will be should be plenty of space for the family to expand. 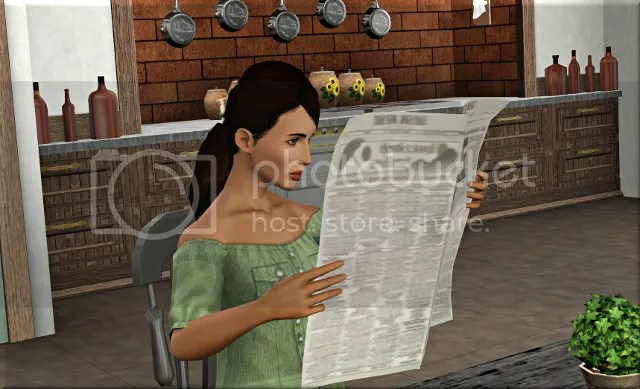 As soon as I’d moved them in, Cassandra picked up the newspaper to have a look at the dog adoptions section. Unfortunately I only have the standard edition, so won’t be able to show off the pet store. She chose a female puppy called Tamsie with the traits adventurous, friendly, and proud. 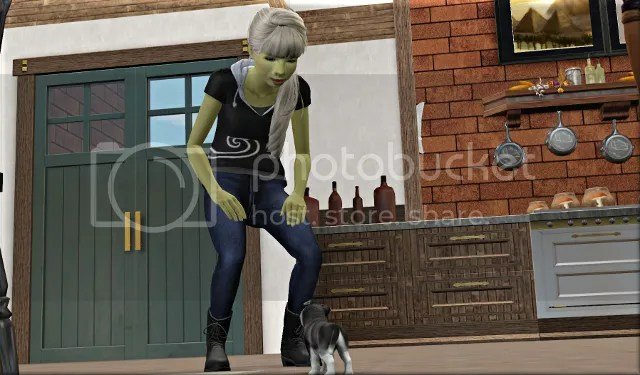 When she arrived a couple of hours later, I took her into CAS to switch her appearance with that of LittleV‘s Siberian Husky. 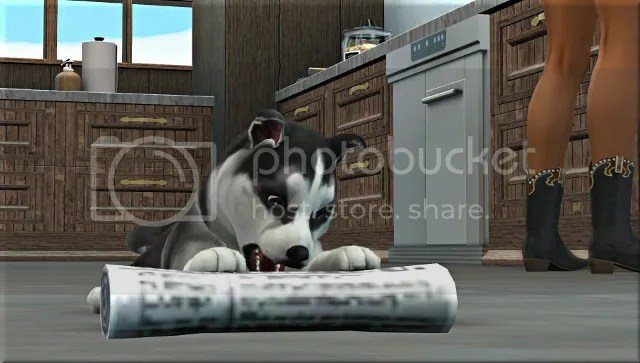 Cassandra cooked Tamsie some gourmet pet food, and bought her a newspaper chew toy to keep her destruction need fulfilled. Imani, Aristide, and Keshawn would be starting at their new school the next day, but I wanted to give them a little extra help making friends, so I had Imani throw a party for all Appaloosa Plain’s teenagers. 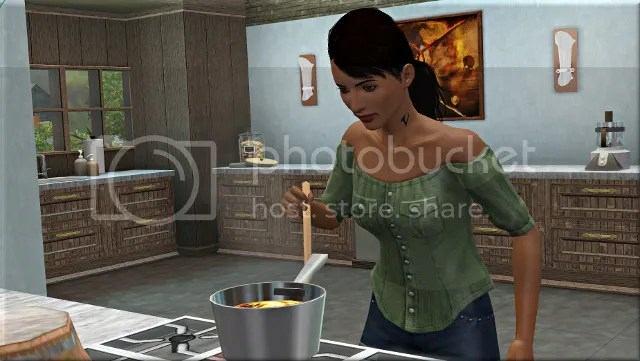 I gave her the legendary host lifetime reward to ensure everyone showed up, and Cassandra cooked them all a nice meal. Tamsie was a hit with the kids. 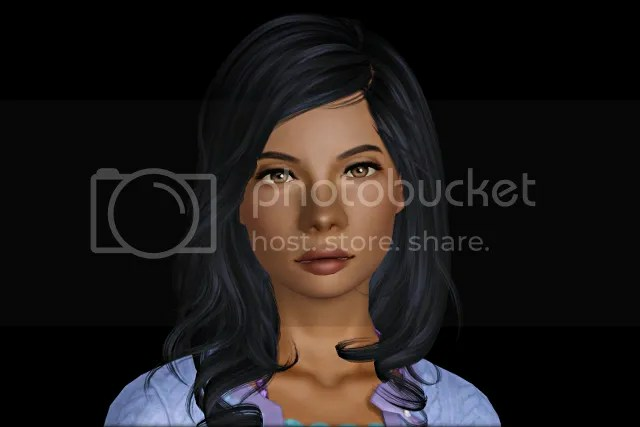 Cassandra left the younger sims and her new puppy in Jaylen’s capable hands while she went off to meet her girlfriend Maryann Striker-Sekemoto at the local dive bar. Cassandra and Maryann have been friends since childhood and dating since they were teenagers. On their first morning in their new home, the family shared a breakfast of pancakes. Even Cassandra had a plate, just to be sociable. With the teens at school and Cassandra off to work at the science center, Jaylen had the rest of the day to himself. He went to the equestrian training grounds to meet some horses and their owners, and immediately struck up a friendship with Marney Martingale. He asked Cruz Martingale for permission to ride Marney, but they didn’t know one another well enough, and Cruz got very angry with Jaylen. I spent some time building their relationship, but Cruz left the lot before Jaylen was able to ask him again. When she got out of school, Imani used the family’s collection helper to find some wild birds. After a couple of failed attempts, she was able to befriend a falcon and put him in a bird cage. I am using this mod to stop her flying away if she ends up in someone’s inventory. Aristide was invited over to visit Marie Bijou-Striker, another Bridgeport ex-resident and vampire. Cassandra continued to bond with her new pet. On the following day, Jaylen visited the Martingale family home and was able to get permission to ride Marney from Cruz’ mum Sofia. He had never mounted a horse before, only read about it books, so he was very uncertain at first. 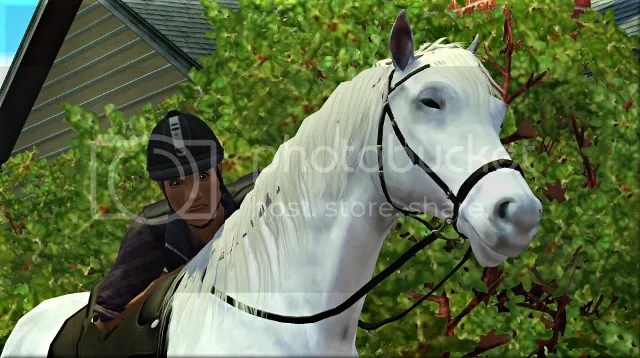 But once he was up on Marney’s back with Apaloosa Plains stretching out before him, he had a wonderful time. That night, Cassandra took Tamsie to the dog park. I was worried it would be too late to meet dogs there, but they soon came across a pink poodle called Pantouffle Pelly. 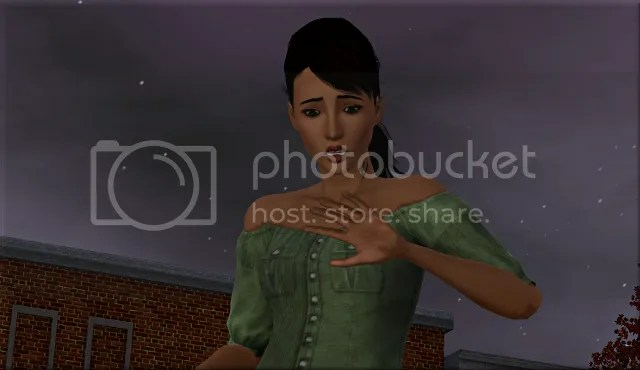 Cassandra tried to pet Pantouffle a little too soon and got her hand bitten. When the morning came, she tracked Pantouffle down at the local salon and tattoo parlour and tried making friends with her again. I gave Cassandra the ‘never dull’ lifetime reward, as part of the problem I was having is that there are so few low level friendly interactions available for pets that they get bored pretty fast. Things immediately became much easier, and soon their relationship was almost maxed out. Still, I don’t think Cassandra’s new BFF is very well-behaved, as moments later I found her destroying the salon’s couch. 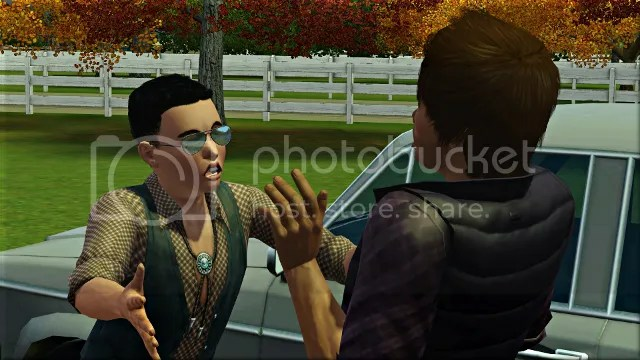 This entry was tagged The Sims 3. Bookmark the permalink. Wow, you’ve built a beautiful and perfectly suited house! 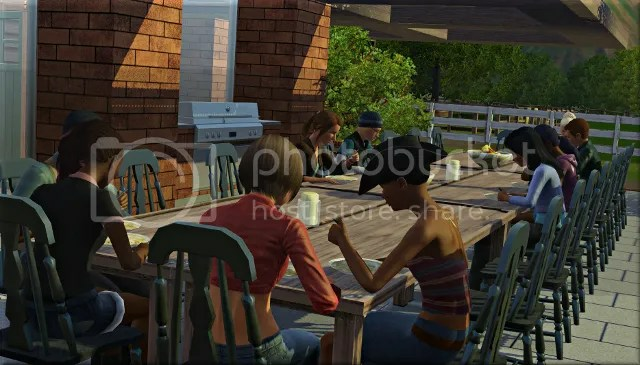 I love the big outdoor dining table, Appaloosa Plains really invites outdoor activity and dining outdoors looks great. Tamsie is very cute – I love how tiny the puppies and kitten are! She seems very well behaved too, certainly much better than Pantouffle! Thank you! I was going to build something more cabin-like, but then I saw that a lot of AP was actually quite mid-century inspired, and I’d been wanting to build something like this for a while so of course I jumped at the opportunity! Yay have been looking forward to the pets play through. 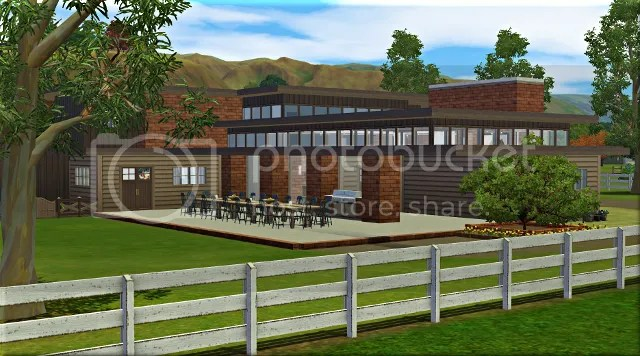 The house looks great as do the sims for this generation. Looking forward to more. 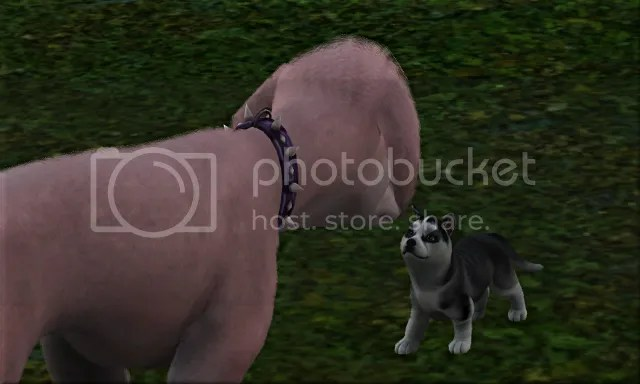 🙂 The husky puppy is very cute, getting lots of happy memories seeing Appaloosa Plains again, I should really make a new save file for that world. Thank you! 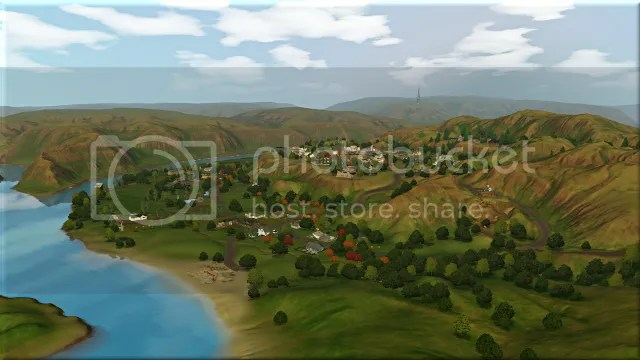 I hope you have fun if you do decide to revisit Appaloosa Plains. I’m really enjoying the world so far.